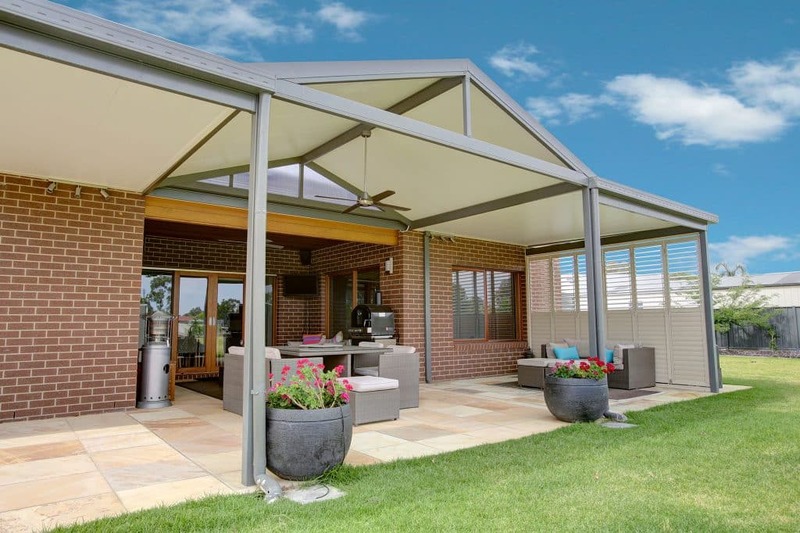 Your patio presents a wonderful opportunity to embrace the alfresco lifestyle. A great garden patio can be the perfect place to dine with friends, share drinks together in the evening or just relax in the sun through the summer months. Looking at your patio now, you might discover you’re not really using it for any of these ideas. Well, that’s probably because you haven’t added some awesome extra items and equipment to bring your patio to life! Let’s look at some of the best possibilities. Forget about the old, boring and plain foldaway furniture that used to be the pivotal feature of any garden. Times have changed, and today the furniture you use outdoors can match the comfort and style of your front living room. Large, lush outdoor sofas and grand chairs that you can sink into are all available in bright colours to make your patio look vibrant and beautiful. You can actually create an entire seating area on your patio. This can be the perfect spot for entertaining guests, and yes, there are weatherproof options if you don’t want to hoist them inside when seasons change. The ultimate use for your patio is definitely an evening garden party, and you can do this as long as you have the right lighting. There are a lot of options here that you can consider using around your patio, but string lights are a great example. With string lights you can hang them up anywhere around your patio, dangling them off shrubs and plants or across the back wall of your home. The warm glow will certainly provide a wonderful aesthetic and atmosphere when you’re enjoying your patio through a summer’s evening. If you want to dress your patio to impress, you should think about adding a fire feature. These come in a variety of incredible designs from stone fires that can be the centerpiece of any patio to artificial, chic, metallic products. It’s another way to improve your patio for evening use but will look incredible at any time of day. Most of the time you’ll use your patio to enjoy the sun, but every so often, you’ll need to slink into the shade. Rather than retreating inside, why not set your patio up for the best of both world? Leave one area ready to be scorched while another is hidden in the shadows. There are plenty of different ways to do this, but a swinging chair with a cover could add an extra benefit of a great place to relax out in the fresh air. You might also want to think about adding a sound system to your patio. You can go quite far with this idea, setting speaks around the corners of your patio to create an incredible surround sound experience. Or, you can opt for something more simple with a small player you can use whenever you need some tunes. We hope you use these essential patio essentials to upgrade your outdoor space from dreary to deluxe.